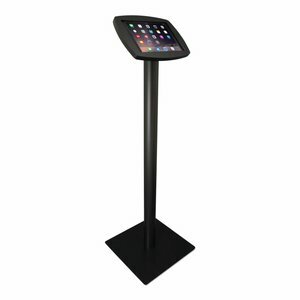 Universal tablet display floor stand with an advertising panel, the billboard can be used to either display a company logo or to show an advertisement. 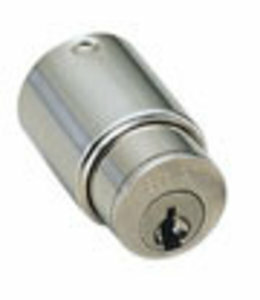 Suitable for all between 9-11 inch tablets. 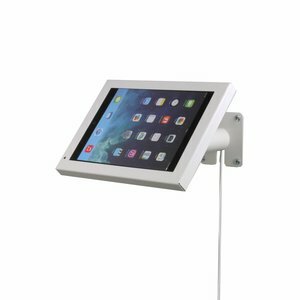 Tablet display stand with universal cassette Securo. 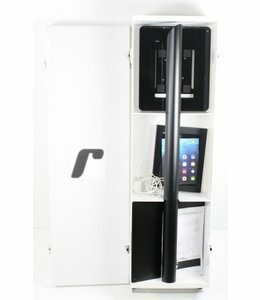 These tablet casings have standardized size and are therefore suitable for almost any brand of tablet between 9-11 inch. 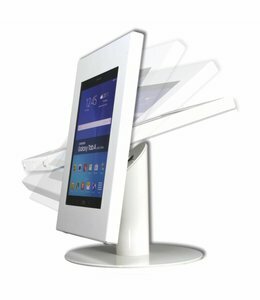 The tablet holders can be made adjustable and rotatable so that the tablet can be used in both portrait and landscape modes. 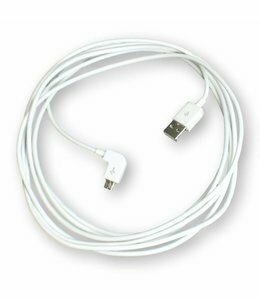 The power cable can be led through the tube to the foot of the display stand, and a headphone jack can be led through the top of the casing to the tablet. 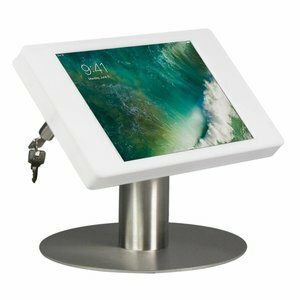 On the advertising display you can show your logo, product, brand or action. 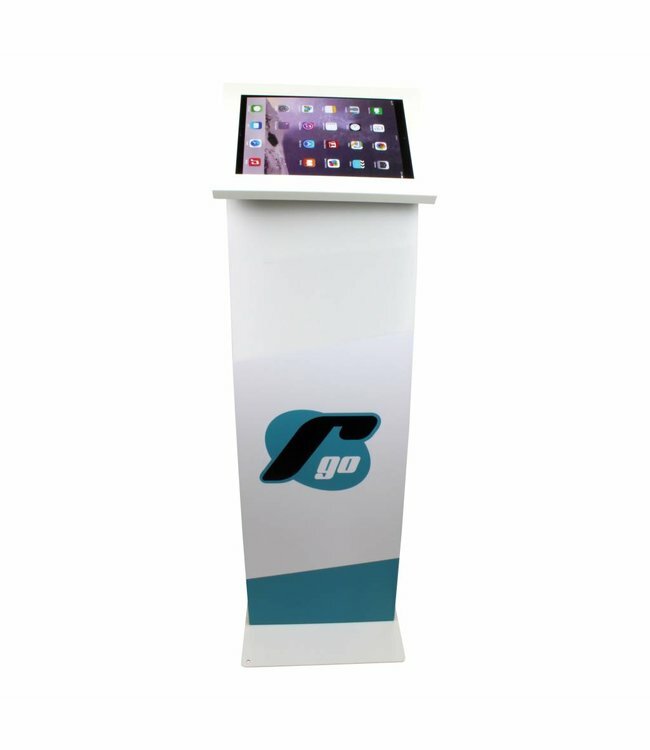 It is the best wat to use the floor stand space (Printing no included).